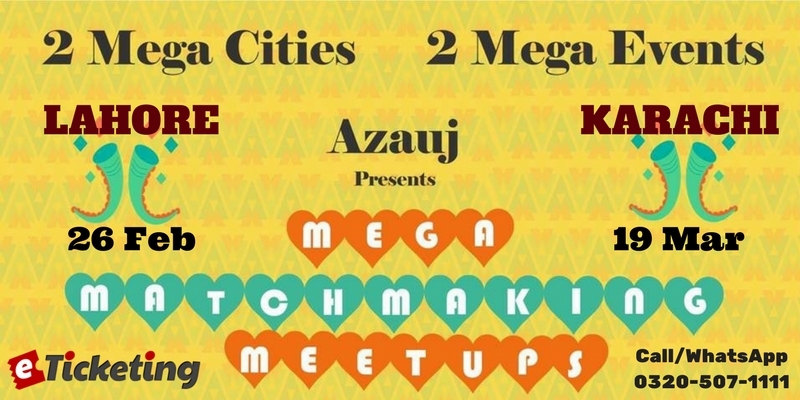 Stay tuned for upcoming events for Azauj Meetup in near future. Azauj is an international matrimonial matchmaking platform which offers a reliable service to help people in finding the suitable life partners. It is a revolutionary service for single people seeking marriage, addressing the needs of different communities living across the world. In this regard, bi-monthly meetups and matchmaking events are organized in Lahore, Karachi and London in order to cater to our international network. Azauj is a premium matrimonial matchmaking service which respects your privacy, values your preferences & accordingly finds the most suitable matches. It provides premium matrimonial consultancy with private matchmaking consultation from Azauj advisor(s). It also has a special match making service for people with disabilities. Terms & Conditions : Azauj reserves the right of the admission to the event and venue. Best Viewed at 1024 x 768 pixels and above. This Page loaded in 0.0841 seconds on Tue, Apr 23, 2019 (13:21).